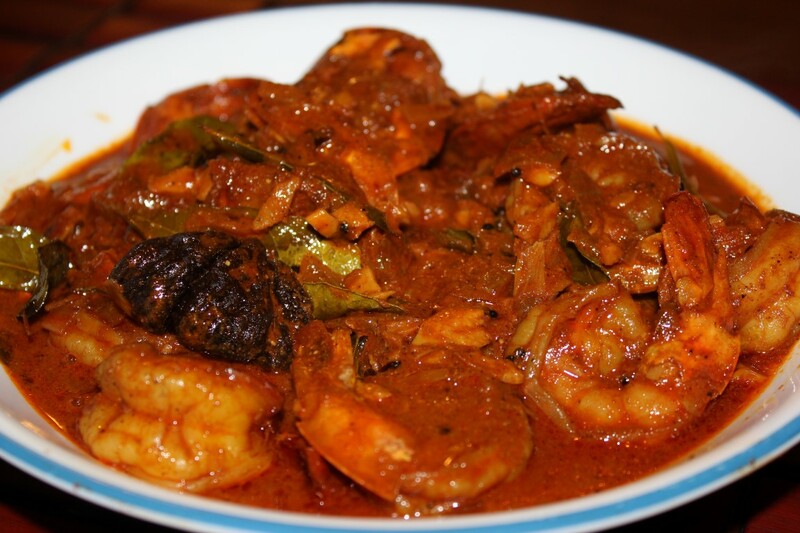 Chemmeen Curry is a typical shell fish preparation that is found througout Kerala, whether it is the coastal region or more inland. This curry has more gravy, which is a match for the Kerala rice that should accompany the dish. Hot Kerala rice and the gravy of the Chemmeen Curry will make your mouth water, if you have experienced the taste even once. For this preparation, the smaller the shrimp the better. 2. Cut onion, ginger, garlic into very small pieces. 3. Heat oil in a pan and add mustard. 4. When it splutters, add onion, ginger, garlic and curry leaves. 5. Fry well till onion turns light brown. Now add, all the other powders and mix well. 6. Add tamarind, salt and 3 cups of water. Close it with a lid and when it boils add green chilli and prawns. 7. Cook for 15 minutes till it forms a gravy.To make the gravy thick u can cook for a few minutes without closing the pan.